Barbara's Blog : Feel The Power! Living in Lancaster County, PA. gives me opportunity to see and witness the Amish people and their lifestyle. Oftentimes I pass by large open farmland and watch in amazement how farming is done by horse drawn equipment and metal wheels. Many times the power of these huge beasts is placed in the hands of a child, sometimes as young as 12 or 13. Watching such a task amazes me. These horses esteem power and strength well beyond the ability of the young child to control. With a sure grip on the reins he guides the beasts and accomplishes the task at hand. I then considered the power behind every child of God. If we allow oursleves to be lead by the Holy Spirit, His power will lead us to all righteousness. But if let go, our lives will become chaotic and self-destruction. As believers we have available today the power to live a life worthy of the calling as children of God. Likewise, I am amazed of the power of forgiveness. And what better example of God's forgiveness then to read of the tragic events of the Amish schoolhouse shooting that occurred in Lancaster County on the morning of October 2, 2006. Following the tragic shooting of 10 Amish girls in a one-room Amish school in October 2006, reporters from throughout the world invaded Lancaster County, PA to cover the story. However, in the hours and days following the shooting a different, an unexpected story developed. In the midst of their grief over this shocking loss, the Amish community didn't cast blame, they didn't point fingers, they didn't hold a press conference with attorneys at their sides. Instead, they reached out with grace and compassion toward the killer's family. Later that week the Roberts family was invited to the funeral of one of the Amish girls who had been killed. And Amish mourners outnumbered the non-Amish at Charles Roberts' funeral. It's ironic that the killer was tormented for nine years by the pre-mature death of his young daughter. He never forgave God for her death. Yet, after he cold-bloodedly shot 10 innocent Amish school girls, the Amish almost immediately forgave him and showed compassion toward his family. In a world at war and in a society that often points fingers and blames others, this reaction was unheard of. Many reporters and interested followers of the story asked, "How could they forgive such a terrible, unprovoked act of violence against innocent lives?" 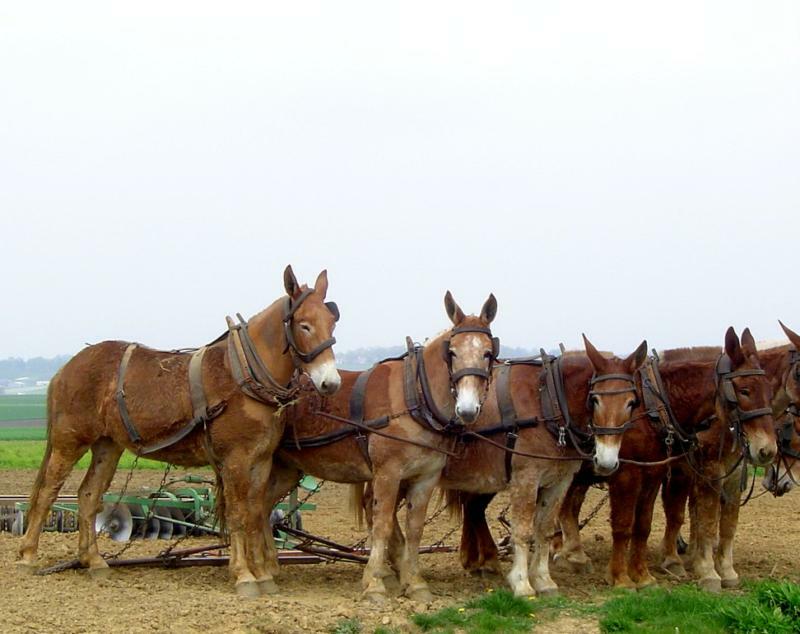 The Amish culture closely follows the teachings of Jesus, who taught his followers to forgive one another, to place the needs of others before themselves, and to rest in the knowledge that God is still in control and can bring good out of any situation. Love and compassion toward others is to be life's theme. Vengeance and revenge is to be left to God. Read through some of the Biblical passages regarding forgiveness as found in Matthew 6:12, 14-15, Mark 11:25, Matthew 18:21-22, Luke 23:34, Ephesians 4:32, Colossians 3:12-13. We can live as fools or flourish in Christ. It is by the Holy Spirit that we walk in victory or drown in self-pity and unforgiveness. We have the power to forgive and live vibrant lives or to fall prey to satan's tactics to kill, steal and destroy all that God created you to be. It is nice to know that there are people out there with such forgiveness in their hearts.